Board of Trustees was formed in 2012. James A. Brown, Herman R. Frazier, Dr. Marc R. Grosso, David S. Johnson, Timothy R. McMullen, and Mark A. Wetmore are founding members. Donald J. Paige was joined the Board in September 2013 and Karl D. Thornton joined the Board in January 2014. 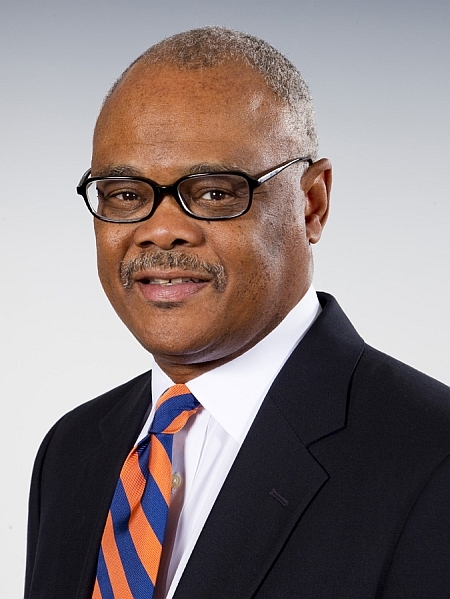 Veteran athletics administrator Herman Frazier joined Syracuse University Director of Athletics Dr. Daryl Gross’ staff as a deputy athletics director/chief of staff in August 2011. In his role, Frazier oversees the daily operation of all facets of Syracuse Athletics. Frazier brought 34 years of experience in athletics administration, including eight years of experience as an athletics director, to Syracuse. An eight-time All-American track performer at Arizona State University, Frazier was the leadoff runner for the 1976 Olympic Gold Medal-winning 4x400 relay. From 1980 through 2004, Frazier served on various United States Olympic committees, including two stints as the US Olympic Committee Vice President from 1996 through 2004. In 2004, Frazer was chosen Chef De Mission for the entire United States Delegation at the Athens Olympics and presided over the most successful US Olympic team in history with 103 medals. Dr. Marc Grosso is the founder of the Niagara Track & Field Hall of Fame. He is currently serving as its President. Dave Johnson is the Director of the Penn Relays and serves as the Executive Vice President of the U.S Track Meet Directors Association. A respected historian of the sport, he chairs the Steering Committee of the National Track & Field Hall of Fame, is a Vice President of the Federation of American Statisticians of Track, and has served on the "Track & Field News" world rankings panel since 1981. As a life-long active runner, Tim McMullen has achieved great success during his career. At Spencerport HS he was a three-time all Section V in Cross Country, Section V champion in the one mile run and the two mile run, and State Champion in one mile run. At Allegheny Community College he was All American in Cross Country and Track and Field, was a two-time National Champion one mile run, and set the NJCAA National Record in Indoor One Mile Run. Tim McMullen was elected to the National Junior College Hall of Fame. His running success continued at the University of Missouri where he was All Big 8 in Cross Country and Track, and was the Big 8 Conference Champion in Cross Country. Tim was the Rochester Corporate Challenge champion twice and was elected to the Greater Rochester Track Club Hall of Fame. As a Master runner, he continues to compete at a very high level and is a many time National Champion Track and Cross Country and was a member of many National Team Championships with Genesee Valley Harriers. Tim is a three-time Hartshorne Masters Mile champion, ran the best in the world age group mile age 48, was a member of the World record 4 x one mile relay 50 – 59 for the Genesee Valley Harriers. His best masters road mile is 4:13 (at age 42), run at the Cherry St. Mile in Tulsa, OK.
As a member of the Niagara Track & Field Hall of Fame (Class of 2008), Karl Thornton brings a wealth of knowledge and experience about the sport to this origanization. He is an educator who also taught and coached high school and college students. In addition, Karl has over 35 years of Technology Management and Product Development experience and 10 years Classroom Teaching. He has degrees in Computer Science, Education, and Business from the University of Pennsylvania. He is often a guest lecturer at Wharton Graduate courses. Mark Wetmore is President of Global Athletics and Marketing (GA&M), and meet director for all company-produced events. He heads the Athlete Representation division of GA&M and is authorized and licensed by the IAAF. In addition to developing both American athletes and foreign athletes based in the United States, Mark also identifies and develops new talent from around the world and has especially strong contacts in Ethiopia and China. He is a graduate of Cornell University with a degree in history and economics, and earned his law degree from Boston University School of Law. He has been a member of the Massachusetts bar since 1991. Global Athletics and Marketing is one of the premier athlete representation and event-marketing firms in the world. From the sprints to the marathon, from the hurdles to the pole vault, from Arkansas to Addis Ababa to Shanghai, some of the most-respected and successful athletes in the sport call GA&M home.